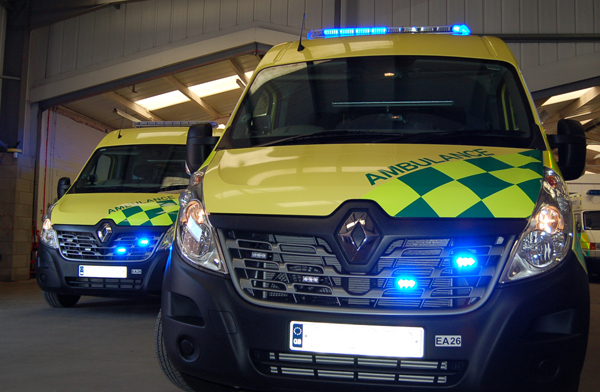 Our fleet of modern emergency and critical care vehicles have been specially designed and adapted for the safe transport of a sick or injured patient. Crewed by Paramedics and equipped with an array of state of the art life saving devices these vehicles are rapidly deployed to provide A&E operational support to NHS Ambulance Trusts throughout the country. 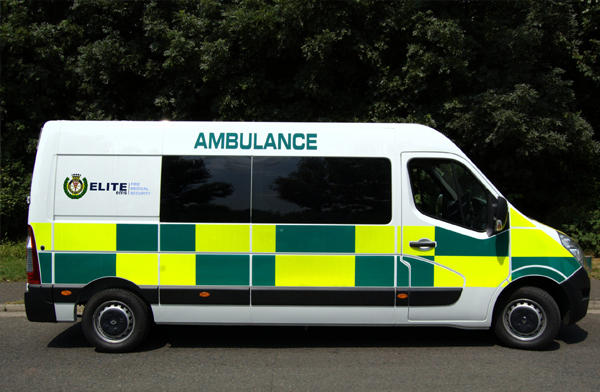 Elite EMS High Dependency vehicles are specially adapted for the transportation of patients who require specialist care. 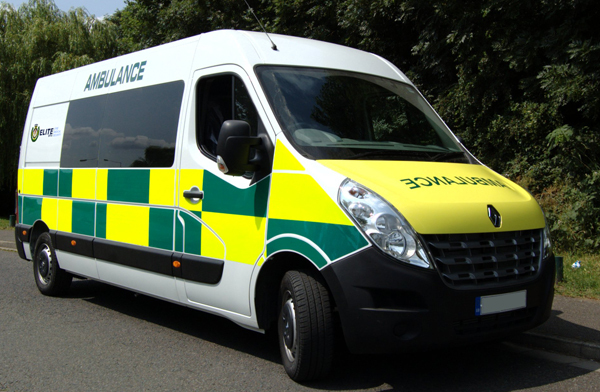 Crewed by qualified Emergency Care Assistants and IHCD Ambulance Technicians, and equipped to emergency ambulance standards with defibrillators, monitors and a full array of Basic Life Support equipment, these vehicles have been adapted to carry specialised wheelchairs in order to safely transport patients who require extra levels of care. 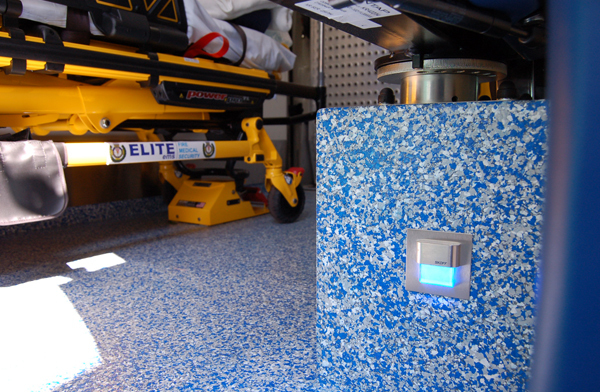 Elite EMS Patient Transport vehicles are suitable for patients with less mobility who can be seated, in a wheelchair or on a stretcher. 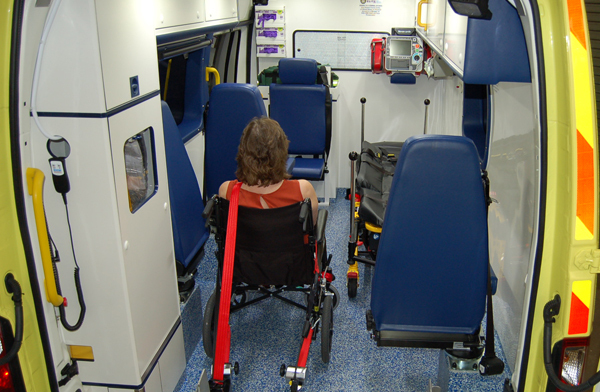 A total of five seats are on each vehicle with the ability to transport one wheelchair and one stretcher simultaneously. 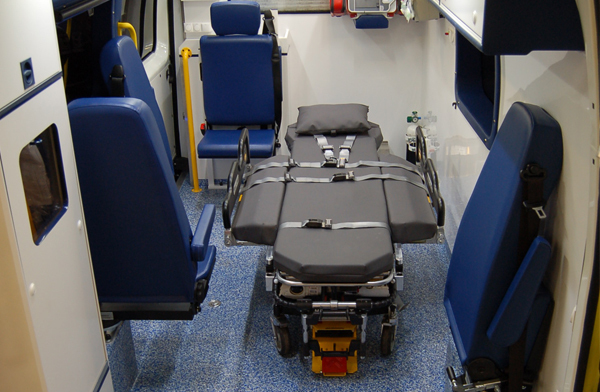 PTS Ambulances are also equipped with carry chairs and scoop stretchers for those patients who may need assistance up/down stairs etc. 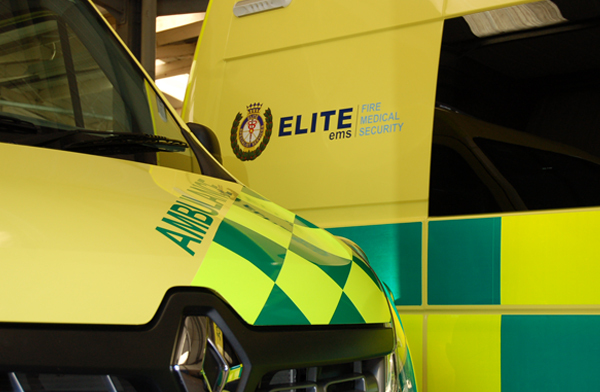 Elite EMS Bariatric vehicles have been specially designed to answer the increasing demand for transporting Bariatric patients whilst maintaining their dignity and respect. These vehicles encompass all the necessary medical devices and equipment and include the Ferno Megasus stretcher, in vehicle winch, wider ramp and a specially designed floor mounting system for wheel chairs. 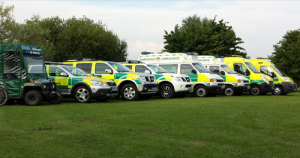 Elite EMS rapid response vehicles have been adapted to provide rapid clinical support to NHS Ambulance Trusts or during high profile events. 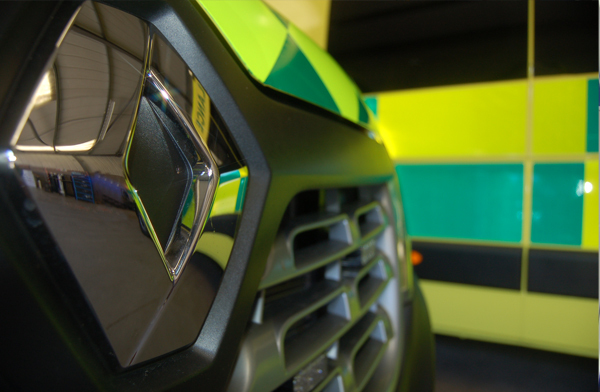 Crewed by experienced clinical staff, and equipped with an array of life saving devices, these vehicles can ensure that patients receive rapid clinical care. 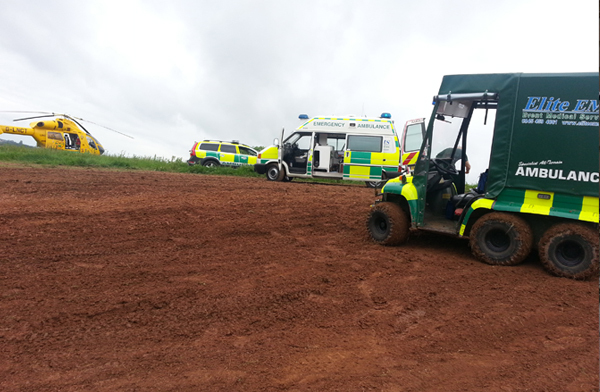 Elite EMS 4×4 vehicles have been adapted for the safe removal of patients during an event, such as motocross or equestrian events. 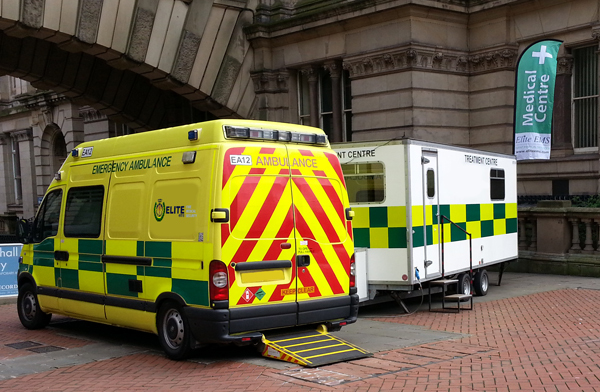 Dependent on the specific requirements of an event, these vehicles are crewed by either emergency medical technicians or Paramedics. 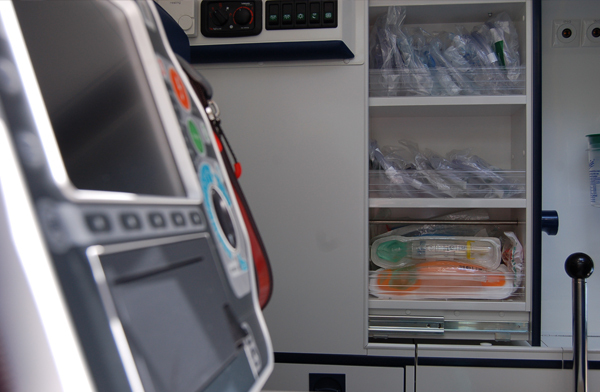 Equipped with all the necessary medical devices including, a stretcher and full spinal immobilization supplies, these vehicles enable us to convey patients from the activity area to an awaiting road ambulance for further treatment or transport to an appropriate medical facility. 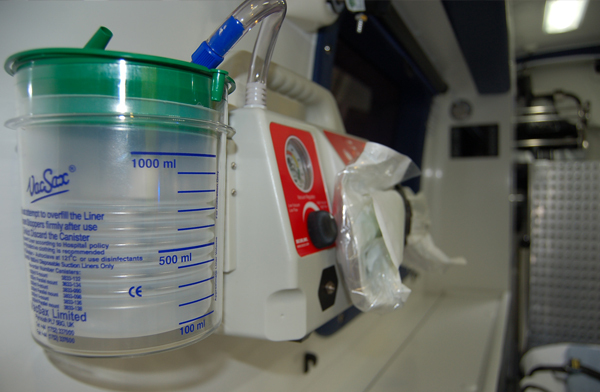 They are also equipped with first aid and basic or advanced life support equipment. 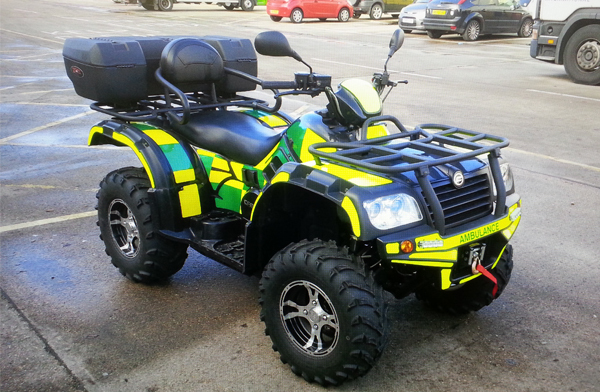 Elite EMS Quad bikes have been adapted to carry the necessary equipment to ensure patient care can be undertaken. 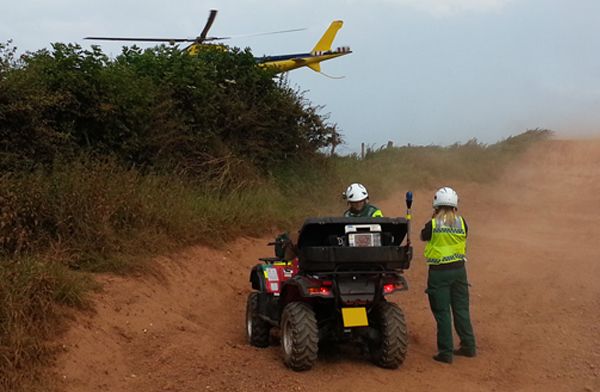 Quad bikes are suitable for an array of events where the likelihood of a rapid response over muddy or inaccessible terrain is required. 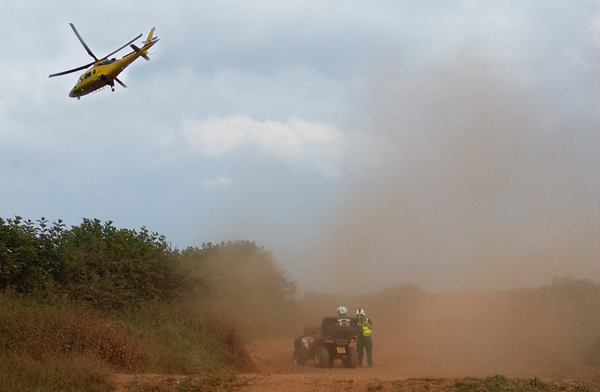 Staff receive specific training in the safe use of quad bikes. 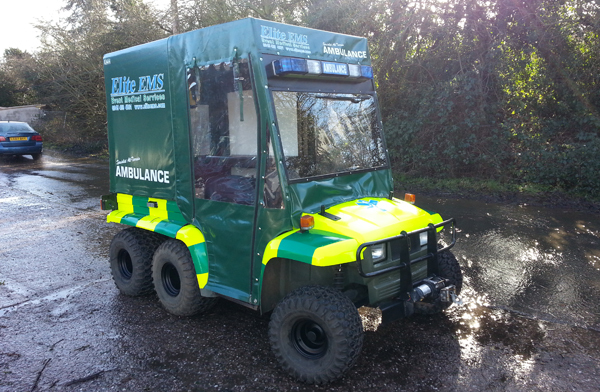 The Elite EMS 6×6 John Deere Gator has been adapted to transport patients from areas that would normally be inaccessible by other vehicles. 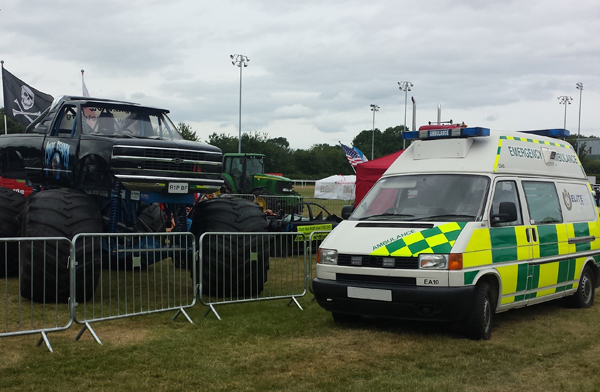 These vehicles can be used during large festivals for the safe extraction of patients back to a medical treatment area. The Gator is very helpful during large sporting events and gatherings where maneuvering among crowds with a larger vehicle would be difficult. Elite EMS have a number of Mountain Bikes that are used as a means of deploying medical resources to a patient during events that have a high crowd attendance or, during cycling events. These bikes carry defibrillators, oxygen and an array of medical equipment, to ensure the prompt treatment of patients. 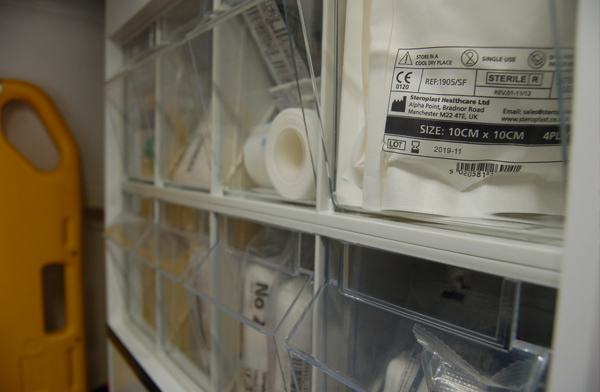 Elite EMS have a number of treatment tents and field hospitals at their disposal. 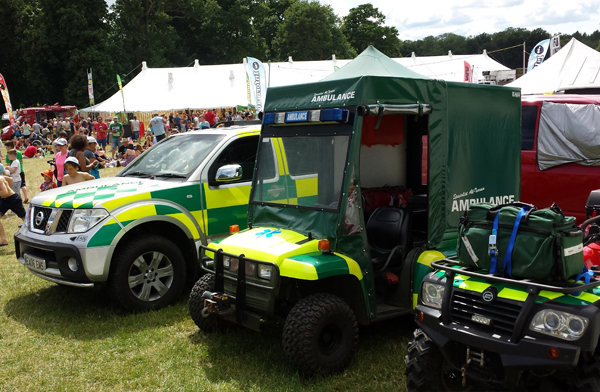 From a small two bedded treatment tent to a large multi bedded field hospital with full resuscitation bays, Elite EMS are able to cater for any size of event or festival. 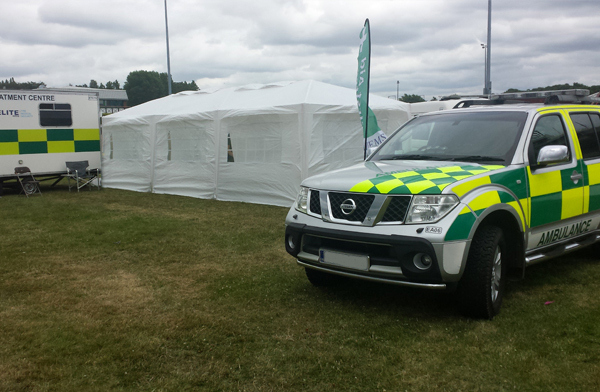 All Elite EMS treatment tents are certified fire resistant and comply with Health and Safety legislation. 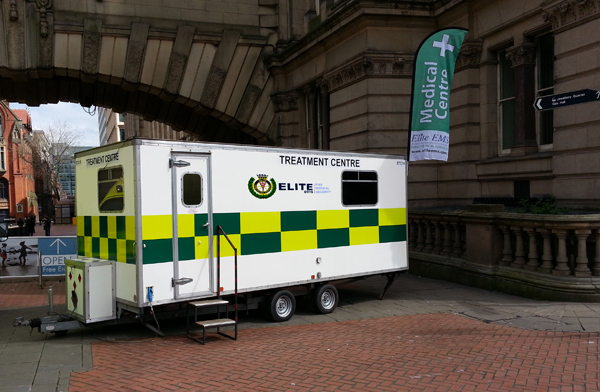 Elite EMS have a specially adapted treatment trailer that can act as a static first aid post during events. 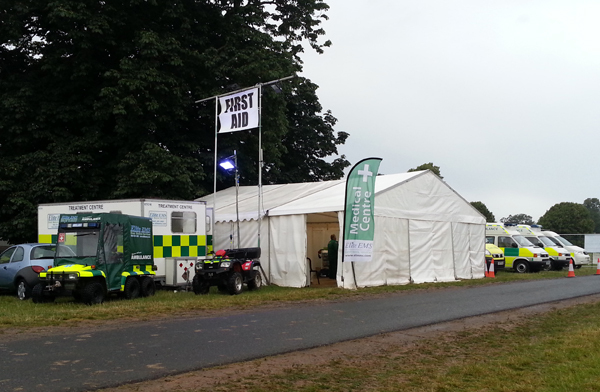 This trailer can provide medical assistance to patients who have become injured during an event.